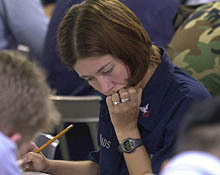 The Seattle-Tacoma area is a great place for military personnel to take their education to the next level. Whatever degree or certification, whether traditional or non-traditional institutions, the area has a school to meet your needs. Start your search today. And check out the discussion board below to learn from the experiences of others in the military community.